It's been cold here in Chicago... and soup is just want we needed! 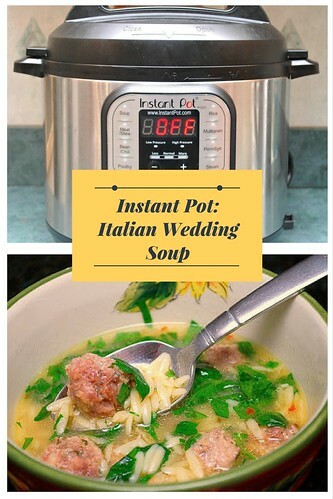 Like many others, when cold weather strikes, soup is a meal we like to warm up with. 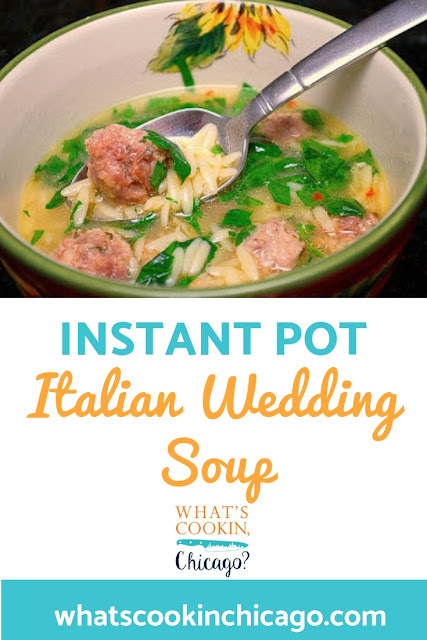 For dinner tonight, I made a pretty popular soup - Italian Wedding Soup. Press SAUTE, add oil and heat until it starts to shimmer. Add the garlic and red pepper flakes, cooking until it's fragrant (roughly 30 seconds). Add the broth and chilled meatballs. Press SAUTE and add the orzo, cooking until tender. Stir in the spinach and parsley. Season with salt and pepper to taste.